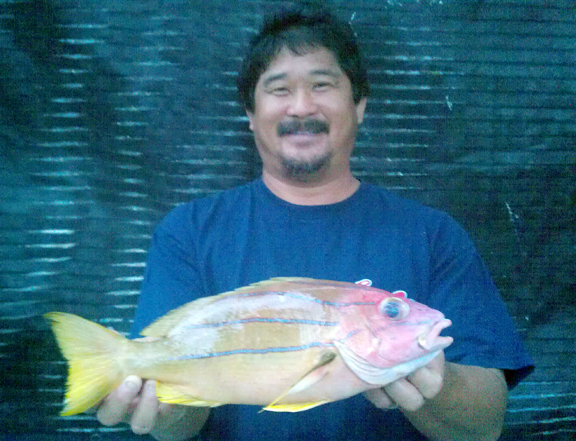 During a bottomfishing trip to Penguin Banks, Nelson Kido was dropping ika and hoping for a nice redfish catch. When his line puller brought the hooks up from 360 feet, though, he was surprised to find this huge ta'ape on one of his lines. At 2.02 lbs, it's the biggest blue-lined snapper recorded in the state.